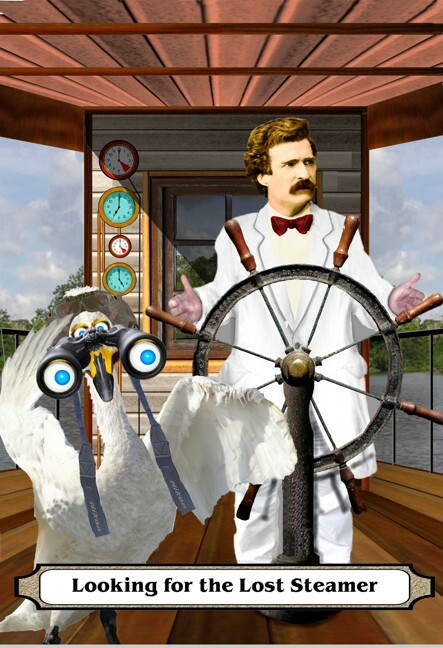 Mark Twain wrote about two lost steamers in Nicaragua. Mark Twain did cross Lake Nicaragua in December, 1866. 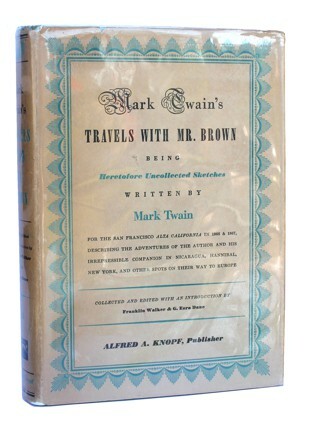 And in his book "Travels with Mr. Brown" he does mention seeing two lost steamers in the jungle. The author does own copy number 948, of the limited first edition of 1750, mentioned in the story. The author, in 2003, went on several expeditions to find these lost steamers. The beaching of the "Alvarado" took place just as Mark Twain described, some miles west of the tiny hamlet of Saballos. As the story mentions, Max Harrison, in his book; "Gateway Through Central America," discovered the name and fate of this vessel. 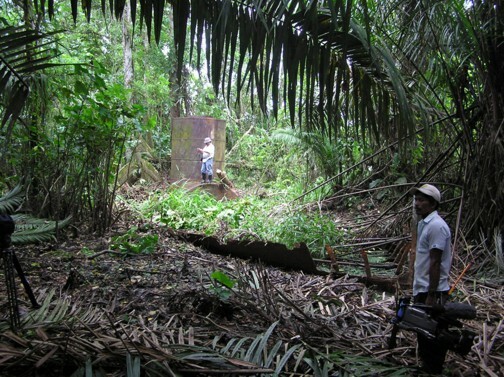 The author found the second steamer at Diamante Falls east of El Castillo. Amusingly, on the search for the second steamer, the guide boat captain swore there were no wrecks on this part of the river. 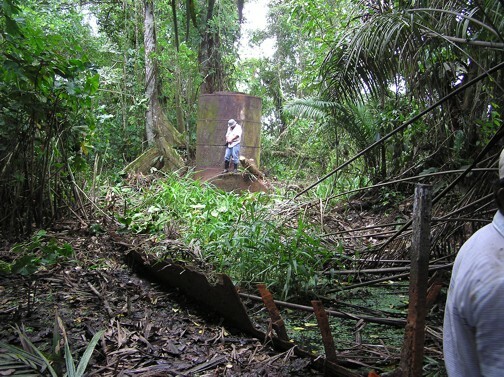 He boastfully claimed in his forty years of travelling the Rio San Juan, every wreck's location was known to him. 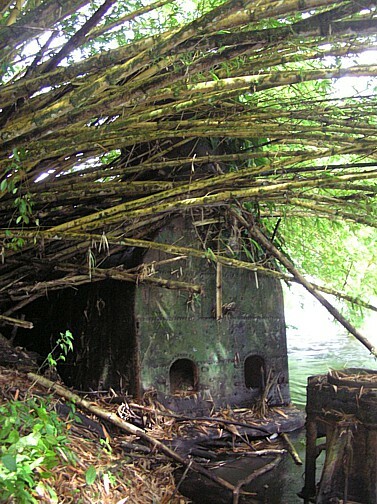 Author James Spencer, was scouring the banks of the river through the viewfinder of his video camera and spotted a dark shape behind some thick bamboo growth. Precariously, the captain steered his small boat across the fast flowing river to the island. 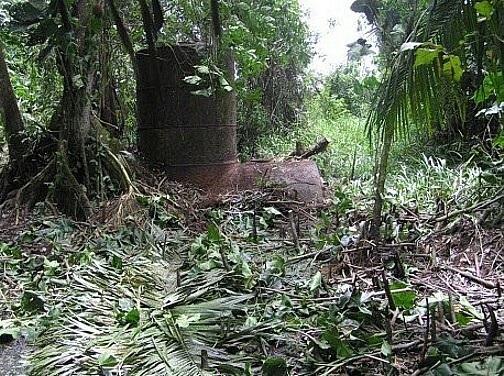 With the crew holding the boat steady, Spencer scampered up the muddy bank and disappeared into the jungle. Ten seconds later he yelled, "There's a boiler, there's a boiler." They had discovered Mark Twain's second, "lost steamer." There may be a true historic artifact in the illustration, "Looking for the steamer." 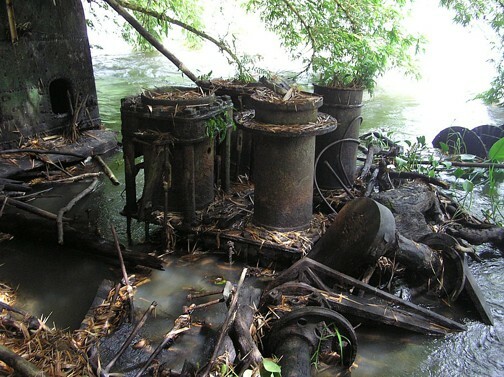 During Author James Spencer’s trips on the Rio San Juan, he discovered in the water near El Castillo an old and rusted ships' steering wheel. 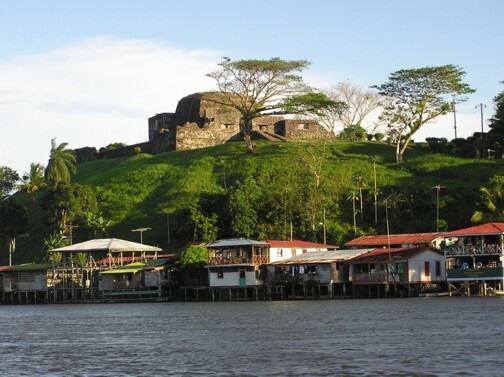 The picturesque town of El Castillo. Strangely this was the location of British admiral Horatio Nelson's first great battle success. The hill to the right is still called "Nelson's Hill". Could Mark Twain have actually handled this steering wheel? He cleaned it and had some local carpenters replace the wooden handgrips. 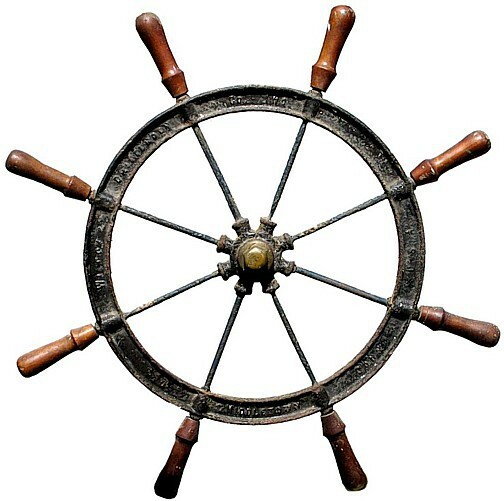 The manufacturer of the steering wheel; American steam boat builder's Wilcox & Crittenden, of Connecticutt, possibly made the very wheel that Twain handled on his trip in 1866. 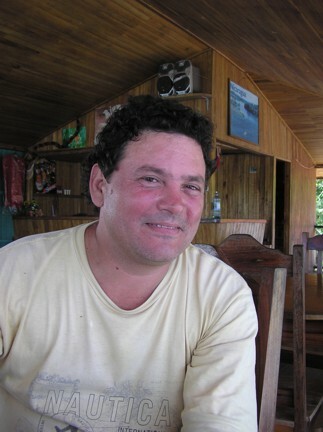 (Ok, a bit of a stretch) In 2003, Spencer, with Ex-Nicaraguan President Violetta Chamorro's son, Pedro Chamorro, found the wreck of the Hollenbeck in the waters off the Solentiname islands in Lake Nicaragua. The illustration, "Meeting Mark Twain's Steamer." 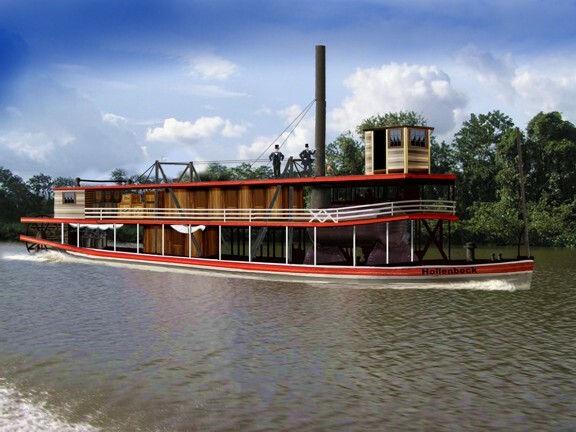 This is a colourized version of the paddle steamer "Hollenbeck." We do not know what steamers Twain used on his trip, It might well have been the Hollenbeck. Local resort owner Alfonso Llanes runs a bar on the river named after Mark Twain. Llanes was instrumental in finding the first lost steamer.